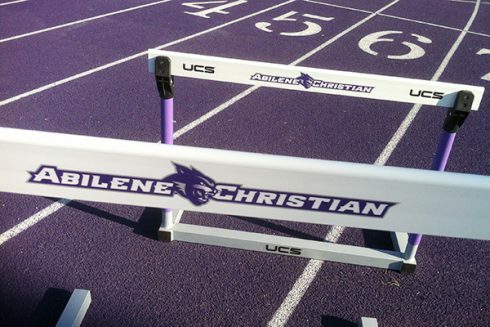 Houston, Texas Christian University and Baylor will be among the 12 teams the men’s and women’s track and field teams will be competing against this weekend as they travel to College Station for the Charlie Thomas Invitational. This will be the second time both teams travel to Aggieland this season. Last time they were there, the Wildcats posted 14 top-10 finishes including six top-five finishes and set multiple personal records in a variety of events. Junior Allie Hackett took gold in both the 3k and 5k runs last time she was there. Hackett also received the Southland Conference Track Athlete of the Week Award for her performance in Seattle over the past weekend. Hackett and fellow distance runner, junior Diana Garcia-Munoz, arrived back in Abilene Sunday from Seattle where they raced against the top runners in the nation. Hackett finished 6th in the 5k, taking down the 12-year-old school record by 17 seconds while Garcia-Munoz set a personal best in the mile. Both women will be looking to improve times at College Station. Senior thrower Jelani Rainey will look to claim another top finish like he did last weekend in Houston, where he took the first place spot in the weight throw. Rainey won with a lifetime best throw of 59-00.75 (18.17m). Sophomore sprinter and middle distance runner Jessica James will also be looking for another top finish after her nail-biting 800 meter win last weekend. James edged out fellow Southland rival, Kierstin Santana of Houston Baptist, by .8 of a second. Sophomore sprinter Corniel Lionel moved into fifth on the ACU all-time best list with his time of 6.79 in the 60-meter dash. Lionel will also have his mind focused on improving his time before conference. This will be the last meet for the Wildcats before they head to Birmingham, Alabama for the Southland Indoor Conference Championships. The Texas A&M Aggie Invitational will begin Friday at 2:30 with the 60-meter dash for the Heptathlon being the first running event of the meet. Saturday will be all final events. The meet will be broadcast on the SEC Network with meet results to be posted online after the final race is complete.